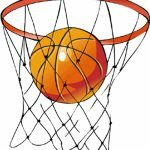 Girls Varsity Basketball · Feb 11 Girls Basketball Regional Champs!!!! 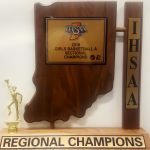 The Lady Trojans defeated the Rockville Roxs 39-35 to advance to the Semi-State Round of the State Tournament. The Trojans will face #1 ranked Marquette Catholic Blazers in Valparaiso on Saturday, February 17th at 2 PM ET/ 1 PM CT Tickets are $8.00. Great Job Ladies…Keep Working!!! !